At the May 2011 Indy.rb meetup, I suggested creating a survey to figure out what versions of Ruby people were using, and what testing stacks they use and would like to use. I created this survey and tweeted it out, and was impressed with the results! Over a hundred people filled out the information, from several continents and numerous countries. Thanks to everyone who participated! What versions of Ruby have you ever tried out? 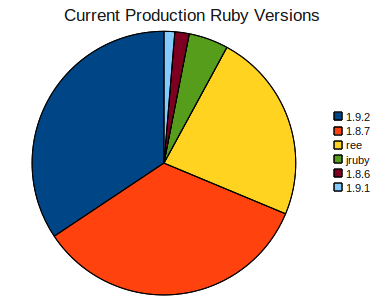 What versions of Ruby do you currently use in production or for real apps? 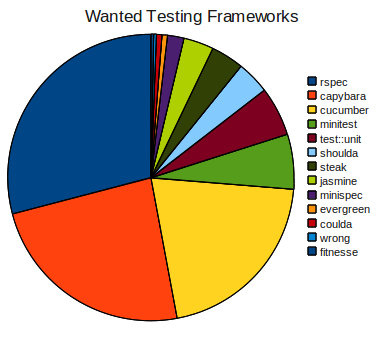 What testing frameworks are your active projects using? 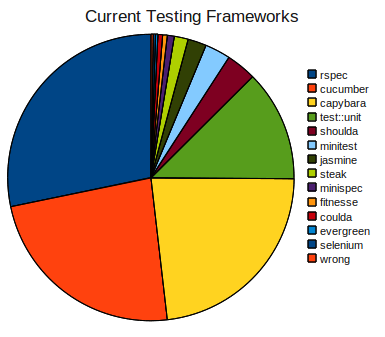 If you were starting a new Rails project right now, what testing frameworks would you use? What mocking/stubbing frameworks are your active projects using? If you were starting a new Rails project right now, what mocking/stubbing frameworks would you use? What do your active projects use to populate testing data? 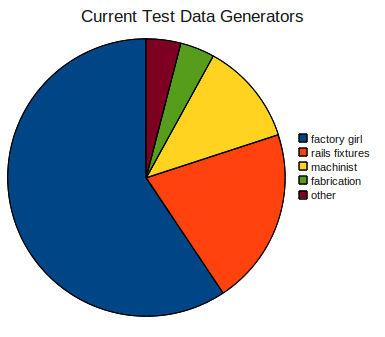 If you were starting a new Rails project right now, what would you use for populating testing data? 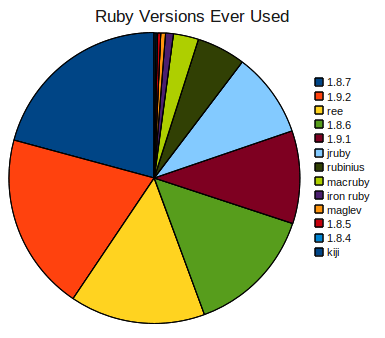 Summary: a wide variety of Ruby versions used. What the heck is kiji, you might ask? This was a useful post on kiji. Summary: Mostly 1.8.7 and 1.9.2 in production use right now. REE is production-ready. Conclusion: Expect to see MiniTest in more production apps in the future. 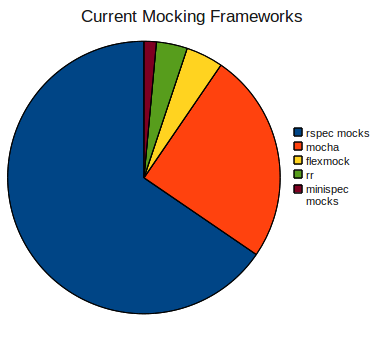 Conclusion: RSpec mocks are here to stay. 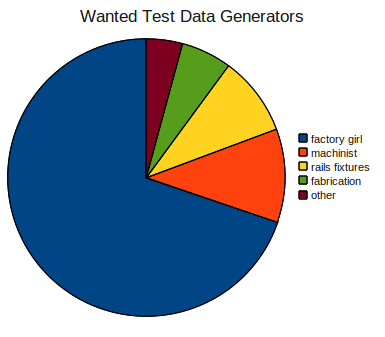 Conclusion: Factory Girl and Machinist are going to remain popular. Rails fixtures are hanging around. Edit: A note on the charts. People could respond with multiple answers, and I just tallied the answers for each category. For example, if 50 people said they used 1.8.6 and 1.8.7 and 50 people said 1.8.7, 1.8.7 would get 2/3 of the chart (100 “votes”), and 1.8.6 would get 1/3 (50 “votes”). The graphs could have been clearer, feel free to create a better visualization with the data. Thanks to the Hacker News commenters for bringing this up. What else could I have done, and do you want to be notified when future surveys take place? I’d imagine something in my survey process could have been improved. Leave a comment or email me at panozzaj@gmail.com! Like this post? Want more quality posts like it? Sign up to receive updates in your email or RSS reader.